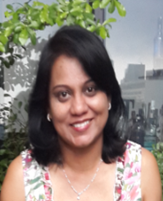 Dr.Vimala Kunchamboo is a lecturer in the Department of Marketing, School of Business. She has over 15 years of teaching experience primarily in the field of marketing and management. As an academic she has taught in areas involving qualitative research methodology and marketing. Prior to the academic career, she has gained corporate exposure in the banking industry. She holds a PhD in marketing from Monash University, Malaysia, Master’s Degree in Economics from Wakayama University, Japan and a Bachelor of Economics Degree in Business Administration from University of Malaya, Malaysia. Her main research area involves consumer behavior and sustainability, particularly in areas of responsible consumption and environmental attitude and behaviour. Other areas of focus include understanding consumption behavior from various aspects of self and identity. She specializes in interpretive qualitative research and ethnographic research methodology. Kunchamboo, V., & Lee, C.K.C. (2012). The meaning of nature and its implications for individual consumption behavior. Advances in Consumer Research Proceedings, 40, 395-402. Kunchamboo, V., Lee, C.K.C., Brace-Govan, J. (2018). Ego-self to eco-self: How do we form the ecological self? Global Marketing Conference, Tokyo, Japan. Lee, C.K.C., Kunchamboo, V., Rassiah, P. & Fallah, M. (2-6 Dec, 2017). Green hotel practices and the authentic self. ANZMAC, Melbourne, Australia. Fernandez, K.V., Lee, C.K.C., & Kunchamboo, V. (2014). Sharing home: A cross-cultural examination of the extended family-self. ANZMAC, Brisbane, Australia.